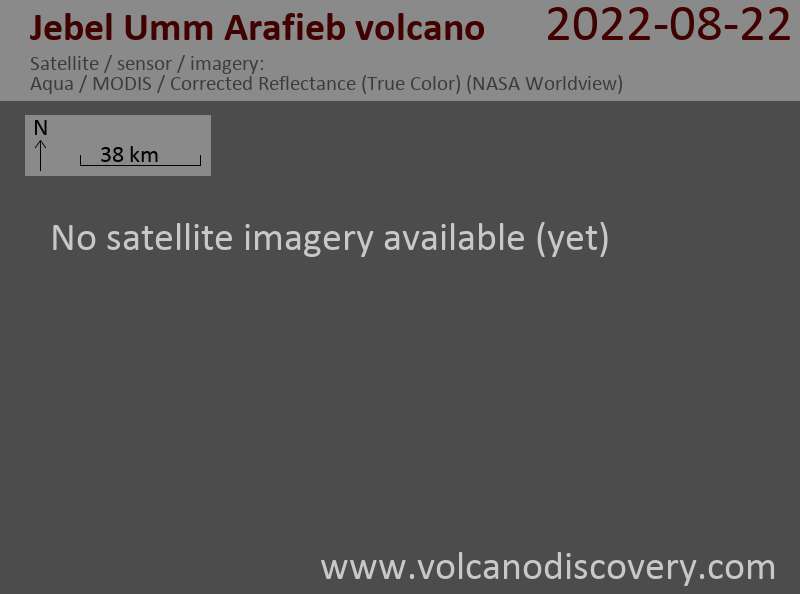 The Jebel Umm Arafieb volcanic field, also known as Jebel Umm Marafieb, is located in the Bayuda desert of NE Sudan, immediately west of the Nile River, NE of the capital city of Khartoum. Jebel Umm Arafieb consists of a low-angle shield volcano of basanitic-to-trachybasaltic composition formed of several overlapping aa lava flows erupted from a vent now capped by a spatter cone. Very well-preserved cones, lava flows, and explosion craters were considered by Almond (1974) to be of late-Pleistocene or Holocene age.